We are now in September 2016. 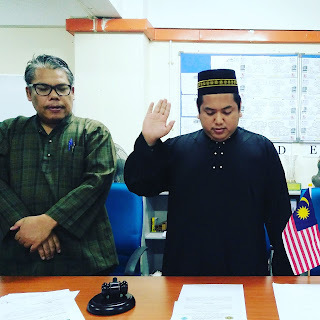 Eid al-Adha and Malaysia Day were over, and the end of this month is coming marking the end of the present Mahallah Representative Committee (MRC). The new MRC will take the chamber officially on the following day. Like always, some of members of the present MRC will retain their seats for another term, while some of them will end their service at the time this MRC sees the red light. Some of Mahallah residents, at the other side, will join the chamber in place of outgoing members.